[Click on the section titles to jump to where the section begins in the text. To print this chapter in flat-letter format, click here: Chapter 6 Requires free Adobe Reader. Before I give you my interpretation of two Chinese clocks, it would be interesting for the reader to get first familiar what other people think this mystery Chinese clock means. Comparing perspectives from different people and ages will help to probe its mystery. It was generally believed that the three Yao (either Yin or Yang) formation of one Gua is the earliest indication that the ancient Chinese people realized the difference of the celestial objects, earth and human. Although the legend uses "’he, him, his' when they refer to FuXi (ph-she) or as 'father of...', 'king of....' , the archaeologists and historians believe FuXi was a group of women. These of women were advisers to the matriarchal leader of an ancient tribe that lived in FuXi, located in the northwest of modern China. Each Bagua is a collection of Gua. Each Gua was assigned a specific direction according to the character of the individual direction as the ancient people saw it. The symbols were associated with the natural world around us in a tangible and practical way. However, the direction of the FuXi Bagua is not always the same as the Bagua used today. In this ancient calendar, we see again many features of the spin-axis hypothesis present in its structure – just as in the Aztec calendar, bronze Greek Antikythera mechanism, and Hebrew calendar described. I will only point out a few features. As a scientist, what astounded me is that these yin-yang symbols look like our latest hi-tech computer languages. The yins and yangs represent “zeros and ones” in an 8-bit binary system of one Byte. That scientific structure strengthens my faith in the Bible’s stories about the destruction of the first civilization of humanity. The Greeks wrote of Atlantis disappearing, and many other ancient people kept some record of those early times. By piecing together these facts from around the world, some obvious facts begin to emerge from the still shrouded in mysteries of these undeciphered clocks. As I came to understand a particular feature on one clock, it opened the doors of understanding to other features found on other clocks. Eventually, it all came back to the first discovery. Through this process, I believe that all attributes of the mystery clocks will eventually be known to us. To test my spin-axis hypothesis, give it a chance to explain these mystery clocks. For now, just accept that I see an Aztec pattern of an X-axis spin in this Chinese Yin-Yang Clock. Like the Aztec system the Chinese clock must be turned counterclockwise, which is a little difficult for those of us educated in Western thinking. If you do not understand yet, do not worry. You are on a discovery path to understand five mystery clocks that totally baffle modern scholars. We must start out somewhere, and we will not travel to discovery by following a sequential order. Each clock reveals some one feature more obviously than another does. By comparing different obvious features particular to one of the clocks, we will work out the entire clock design puzzle. I cannot possible give you the whole concept all at once because no one has ever written about it before, so it is too new to relate to something you already know. Outer circle with 24 different symbols. The center indicates two spin axes. The black fish indicates night. In Genesis (the Hebrew Bible clock) it says, “And there was evening and morning the first day.” The white is day. Two cycles we can identify. The Aztec calendar has long and short count cycles and X-Y axis, The Hebrew clock has Heh-Daleth cycles. Four quadrants plot the seasons: winter, spring, summer and fall. At the two ends of a quadrant, there are paired solstice-equinox and equinox-solstice astronomical events. The sun travels through the sky in one direction for 26 days from east to west and then travels 26 days from west to east. The two dots inside the center indicate a solstice position and align with our pencil mark. Notice the white Yin fish center eye points to the third circle and has a number pencil mark, and the seventh black fish eye Yang points to #1. So your pencil mark divides the 4 quadrants in two halves 1-2, and 2-4 similar to your previous pencil diagram of the two Aztec clock pyramid hieroglyph ٨ – Д signs with two seven-spins, expressed here with the third circle. Remember we must look at crossover and not necessarily the numbers on the dial. Mark every field turning counterclockwise with a number starting at the 12 o’clock position with one with next comes two, three, etc. - just like we have hours on our kitchen clock. At the six o’clock position, we immediately notice a number 7. When we go around and come to 12, which is offset. To continue counting, we must go to 13, but it is in the number 1 position. We will continue and put #13 on the bottom of this #1 field. As we continue another round like the European clock shows after 12 comes 13, 14, the afternoon cycle, which is the Yang cycle. Thus first time around the 12 hours we have Yin night cycles, and the second time around, we have 12 hours Yang day cycles. As a result, at the 12 o’clock position the counting crosses over to the number 13 instead of returning to 1. If we consider thirteen a crossover of clock hands, then we come to the 2 o’clock position, which is the number fourteen (2x7) meaning seven spin-axis cycles two times. Crossovers are explained in the Aztec clock chapter. The Aztec calendar has 13 days in one quadrant time that must turn 4 times (4 x 13 = 52 days) for one Aztec cycle. This Chinese clock table looks similar from that perspective to the others, thus indicating a spin-axis. If we multiply 4 quadrants [second circle] with the next twelve cycles (4x12) we get 48. The Greek clock has 48 sections 4 times in its middle dial. As I said, switching back and forth between different clocks will crack the puzzle for all the clocks, one at a time. Notice that 12 symbols are the same, and 12 symbols are different. The Persian Clock’s 72-degree window is also divided into alternating sections, like a binary system. One shows a symbol next to the same repeated 72 times symbol just like we see in this Chinese 24 alternating window sections. This could be analogous to when we write our calendar as January 2006, February 2006, and March 2006, which is the same year number for each monthly cycle. When we consider an age when the X-axis is 2.8 ratios and getting smaller, meaning Christmas comes around two times with two solstice positions in one year of 365 days. That means we could see 12 zodiac symbols two times in one year or 24 zodiac signs like the back dial of 2 x 12 windows in the Antikythera clock. To differentiate the second from the first cycle, the clock designer would only need to indicate the first with a zodiac symbol and the second turn with just a dot like a small zero. That is what I have seen on other clocks, but here a Chinese symbol that alternates 12 times is used. This characteristic is typical of calendars dated to times before Moses. One quadrant of a season (second circle from the inside) ends with an equinox pointing on the inner circle. On the outer periphery (like a tire of a bicycle wheel), five round dots are placed for each symbol section, meaning that January space is divided into five time cycles for the year 2006 repeated 12 times. For example, the Chinese calendar has five different orders of dragons in a hierarchy: each takes 12 years to appear for a total grand cycle of 60 years. The Chinese dragons connect with the fire dragon of the Aztecs. The water dragon overlays the first apocalypse of water, the Flood of 2287 BC. Another water dragon aligns with the next apocalypse of 2012, which will end in fire. Of course, when I write “January” here it is an analog for a Chinese expression I don’t know. I must ask a Chinese person if they recognize this symbols which I will do, time permitting. Symbols for 24 Zodiac constellations make up the outer dial. Of the two axes, the X-axis was getting smaller and Y-axis was getting bigger. We must differentiate between them to explain the larger movement at the horizon that revealed more constellations normally below the equator. Section lines in the first, inner circle line up with the third, outer circle, indicating solstice positions. The outer band or dial of 24 symbols is offset to line up with the 12 symbols of the inner band. This could be the X-axis as the other field matches with the inner circle. Each field circle is a bridge connecting two dials. In a flexible calendar, we must always get reference points from the sky. Ancient sailors did that on the ocean to plot their journeys. A calendar chart would be useful for seafarers going from China to Mexico, and I am sure the priest with many tables had a full time job in ancient times. This is no different today as NASA employs highly paid specialists. This dial discovery is also found in other clocks, but with differences – perhaps significant. This explanation is just one step in the right direction on our journey to make us alert and think a little differently. It is like a great puzzle, and I am sure in reading about the features of the other clocks you will get a clearer picture. When I saw the pictures of a Chinese clock with three disks in an architectural magazine, it caught my interest, reminding me of another ancient Greek clock. Not knowing anything about Chinese symbols, I noticed that these three Chinese bronze disks have the same Yin-Yang pattern in its center as the Chinese clock discussed at the beginning of this chapter. The magazine article said that the bronze disks are dated to 2000 BC and that no one knows what they mean. Some have suggested they are a compass of Yin Yang philosophy. When I looked at them from a German cuckoo clock maker’s perspective, it did not take long to imagine a clock system even though I didn’t know the meaning of the Chinese symbols. To me, they represent the three axes of the Aztec spin-axis calendar: X, Y, and Z. This same calendar predates and explains the bronze Antikythera mechanism. It must have had at least two base plates sandwiched between the three transfer axes. It was driven by a simple leather belt connected to wheels on which the three bronze disks were mounted. A thin rope was probably strung on the outside from one side to the other across the three dials to align information so that it could be read across all three. One dial set up a position, when then turned the others to provide changing relationships between them that provided calendar information. The smallest bronze disk should be in the middle. It reminded me of the Aztec calendar but with Chinese signs. The system gives an X-axis starter wheel correlating to 12 zodiac signs. The bigger plates could be mounted next just the way the picture shows them side by side. I hope that you can see the similarities in structure. Look at the Antikythera clock dial arrangement with fixed gears and remember my ball-resolver design to help you to decipher this clock. To figure out this ancient bronze, three-disk clock, let me explain to those who may not have seen or know about the mechanical devices we used to rely on in daily life. Forty years ago, every engineer used a slide rule instead of a computer or hand calculator. Some of us had a pocket slide rules in form of a double disk, which was a little smaller to use and fit in your pocket. The round slide ruler consisted of two disks, the smaller one spun on top of the larger from the same center. It had lines and numbers similar to the 10-inch (25 cm) long slipstick slide rule. “Circular slide rules are mechanically more rugged, smoother-moving and more precise than linear slide rules, because they depend on a single central bearing.” The transparent plastic cursor moved around its axis like a third disk, which is similar to the three-space hairline glass slider on top of the long slide rule used to calibrate mathematical positions by pilots and others. I think that the ancient Chinese three-disk mystery clock functioned like the circular slide rule’s three movable components. What really amazes me is that the Chinese invented our 8-bit “zeros” and “ones” computer language in 2000 BC. At the beginning of this chapter, you saw a picture of a Yin-Yang. They are replicated on the center of each bronze disk in a circle found in a different archeological dig. No scholar has ever related them to one another, but they have identical calibration/alignment symbols. When I lined up an 8 pattern of three dashes and dots as shown in the inner circle of the Chinese disk close to the center-hole, I noticed that the three-dash pattern was opposite the three double-dots pattern. That translated like a three 8-hour shift time cycles for one 24-hour day, maybe going around 1½ times to two times, which equals 24 hours. We divide the day into 12 equal parts – Am and PM for one day, but the Chinese clock on these bronze dials may have divided the day into three 8-hour parts. To do it that way gives added information. We know that the sunlight days in summer are longer and the days in winter shorter. At equinoxes, they are the same length. The ancient Chinese figured this out like the Aztecs. They both counted 8-hour time cycles around a clock three times for a 24-hour day. We normally sleep 8 hours. We work 8 hours, and we are left with 8 hours for everything else. Not too farfetched to realize that our present life patterns might mirror an ancient clock system with three disks similar to a circular slide rule. Another concept that comes to mind is that the present day cycles are shorter when compare it to Moses’ time by 1.4 on the graph due to the wobble going backwards. [Figure A] We must think backwards and forwards until more is revealed from other clocks. Other circles of Chinese symbols appear to be analogous to my cuckoo clock indicating time, sun solstice, moon phases and year cycles. Check out the 8-bit computer symbols on the inner circle on all three bronze disks. They are the same, which suggests that the mystery clock probably used a synchronized belt system to indicate a three axes’ calendar positions. To start the Zodiac clock, all of the triple dash/dot positions must be lined up first if we want to find out relative day-month-year-zodiac-moon-sun positions. It is no different from my old-fashioned slide-rule that has the same number symbols in the fixed and on the sliding tongue part of the slide-rule. They all must be lined up to read zero when starting to calculate something. If you ever had bought an expensive German Cuckoo clock, it needed similar alignment before the pendulum ever would properly indicate the solstice, zodiac, moon and sun cycles. The middle disk has three main circles 12 of an 8-bit Yin-Yang pattern. The smaller disk also has 12 with an additional 16 (2x8) and 24 (3x8) sections around the circle. The smaller disk represents the X-axis spin from the Aztec system (7 turns of 52 days for 360 days around the sun before 2288 BC), but the remainder of a spin-axis turn was designed in an 8-bit binary system as shown in my Figure A, which still had the old system as a starting point. I wish some computer nerd would program a computer to show these axis changes to better illustrate a changing X-axis into an emerging Y-axis. We must remember that our calendar using the spin-axis hypothesis has a declining X-axis and an increasing Y-axis. Both always total 364 days in the BC years. Therefore, it was necessary to include the old Aztec clock system. In China, they are not connected to Aztec history but still linked to the same spin-axes changes observed in a common sky. That is why we can decipher all five mystery clocks and with one concept. Let’s ignore the final adjustment, which came during Gregorian times. On my previous graphic illustration, the exponential curve around Moses’ time shows six disappeared turns of the X-axis and a fraction left over. We must look at that fraction and find out how it is measured in relation to the old Aztec system as remembered from antiquity. The fraction leftover to make a full 364-day year is the second dial or middle disk, which connects with the small dial measuring from the beginning of the asteroid disturbance on 5 February 2287. The bigger dial would end in our present calendar system. 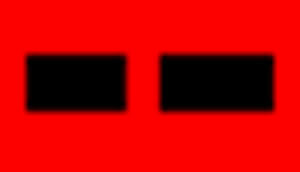 Notice that the middle disk has 8 times [dash, dash, dash]. Then the next is a pattern of 8 times [dot-dot, dash, dash]. This continues until a complete set of 8-time pattern of the same inner center grouping eight times around one circle, which gives us 64 (8x8) special cycles in a higher order measured from the small disk of 8 that gives us start cycle count of an X-axis position. The Greek Antikythera clock has a 64-tooth gear, which would tie in with the Chinese clock. In a flexible spin-axis calendar that changes from year to year, we must have an instrument designed to go back in time to when the calendar started to enable a recalibration if something happened to the clock or the belt driving the disks. During the 19 th century, all machines were driven by leather belts that needed frequent replacement. Leather will not last 4,000 years. We only have three bronze disks from that time but a clockmaker’s eyes see the system connected. In ancient times, it was a fulltime job for priests to track solstice-zodiac relationships. That is why they built pyramids: the priests had to track three (XYZ) axis positions. The three dials was a cheaper version of the pyramid. Let’s have an example how I imagine the clock must have worked. To indicate all those zodiac and solstice cycles, the rest of the dial was marked on various circles to collaborate a specific point in time expressed in a 64-item pattern related to the X-Y wobble of our earth’s axis of spin in a 364-day year. Let’s take an example from the Aztec calendar. The second of five Aztec Pyramids constructed on top of each other in Mexico City indicates 260 days or 2 turns on the X-axis leftover, (365-260 = 105) (105/52 = 2.019 spin), meaning Christmas twice in one year as my graph Figure A indicates and lines up with Terra-Abraham around 2073 BC. Now we do the same and take (365-301= 64) converted to left over X-axis [64/52 = 1.23] spin ratio. Looking at my exponential X-Y chart, the 64-day (8x8) leftover 1.23 spin ratio would fit before Moses (1468 BC). Stated again, it coincides with a 301-day Y-axis plus 64 days from a leftover X-axis, which totals 365 days on the Z-axis. The Aztec calendar expresses it as 120 Aztec skulls minus 64 being 56 skulls left over. Then 56x14.3 years for each skull for a 800-year range, which is 2287-800=1486 BC. The Mexican schools teach that the Aztecs historically came from the Chinese. I connect the Chinese to the Genesis account, about the 5 th generation after the Flood from Shem. Genesis 10:25 says that the world was divided during that generation, which was Peleg’s lifetime, when the original human language was confused by God. From 2285 BC, we add the biblical ages given of the four firstborn boys, which are from Shem 2 years after the Flood for Arphaxad. He in turn has a boy at 35, Shelah + 30, Eber + 34 years to a total 101 years. Then we add middle aged Peleg with 100 years and we come to 2285-201= 2084 BC. The first small bronze disk has 8 divisions, the second disk has 8x8 divisions and the third disk has 8 divisions. Added together we get [8x8x8x8] = 4096 years for this Chinese calendar’s range. Since our Gregorian calendar is divided into BC/AD we take 4096-2084 BC = AD 2012. This date coincides with the same calendar range of an Aztec calendar projection with their calendar ending 2012. To me it is obvious that for my spin-axis hypothesis to be true there must exist a demonstrable relationship between these two cultures, geographically and culturally separated but connected with a tilt axis knowledge. I date this Chinese clock 8 x 64 = 512 (two disk cycles) years minus 2084 BC = 1771 BC. Scholars estimate 2000 BC, which is close when one realizes that many theologians and scientists differ on Bible and/or Egyptian chronology – even by 230 years sometimes. The ancient Chinese people are no different from us today. They were influenced by tradition, religion and science. Buying a house, getting married or doing a business deal drives them to first ask the favor of the heavens and consult forces outside our being. Chinese today still consult and ask a person to come to the house to make sure that even certain furniture in rooms is placed according to Yin-Yang principle. It is like if you are Catholic the priest will come and bless the house a young married couple will live. One more reason to celebrate. As we live in an orderly world, it is best to conform where we live according to natural balance found in many yin-yang principles. We are connected with the spirit world that makes us different from the animals. It does not matter if my friendly scientist next door to me is ignorant of the spirit world and says otherwise. In my books, I introduce the reader to the Hebrew Heh side of the spirit world. I am not Jewish but pray to Jesus: the invisible God who became visible to guide us by example on our life’s journey. Some who do not know Jesus check out zodiac signs. Others make unconscious decisions based on knowledge accumulated from the past. Some inquire of the past by reading books like the Bible. 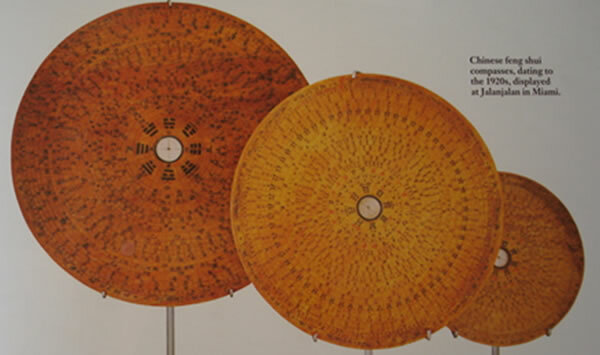 The ancient Chinese put their knowledge from the past on bronze disks. They wanted to make sure that if one turned the crank to his or her birthday position, he could learn if the stars were favorable. To live a life agreeable with the cosmos or God is and was always very basic to human nature. On a city street some offer to tell your future for a fee using cards, but it is not much different from what was done in 2000 BC. The larger dial connects with numerous prophecies associated to a 2012 date. The bronze Chinese disks for a calendar-calculator come from people that share the same pre-Flood Hebrew roots. The bronze disks stored the data of collective human experience like the Bible. It connected that data with a calendar and zodiac signs to make it legitimate. Check out the next chapters where I tell you about recent discoveries from an Australian team of scholars who find a monotheist religion like Genesis records in ancient Chinese history. The Aztec religion also came from monotheist beliefs as testified in their pictures painted on Tepantitla palace walls in Mexico City. Later priests transformed their ancient monotheism into 20 gods when they could not figure out why their calendar changed so much. It had once been so accurate, and the fact that the sun moved erratically and the seasons were unpredictable led them into worshipping the sun god and many others. Why? It is for you to find out. Slide rule – Circular slide rules, Wikipedia, retrieved 6-5-207 from http://en.wikipedia.org/wiki/Slide_rule. Use our internal search engine to locate topics of interest. © 2008 Faith in the Future Foundation. All rights reserved.